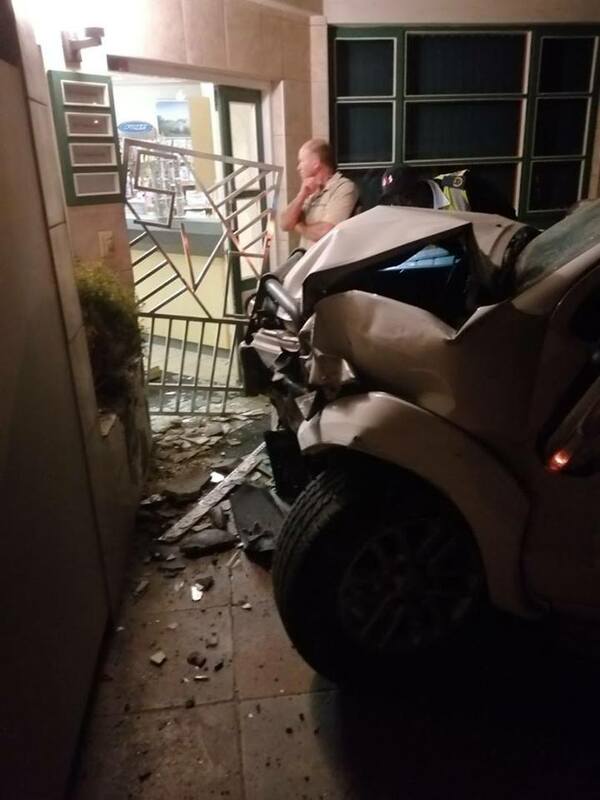 THE 46-year-old Fester Tubazumbe, who crashed a government car into a veterinary clinic early on Friday morning, pleaded guilty to the charge of driving a motor vehicle under the influence of an intoxicating substance in the Swakopmund Magistrate’s Court earlier on Monday. Tubazumbe was arrested on the spot after the crash was captured on Closed Circuit Television Cameras. 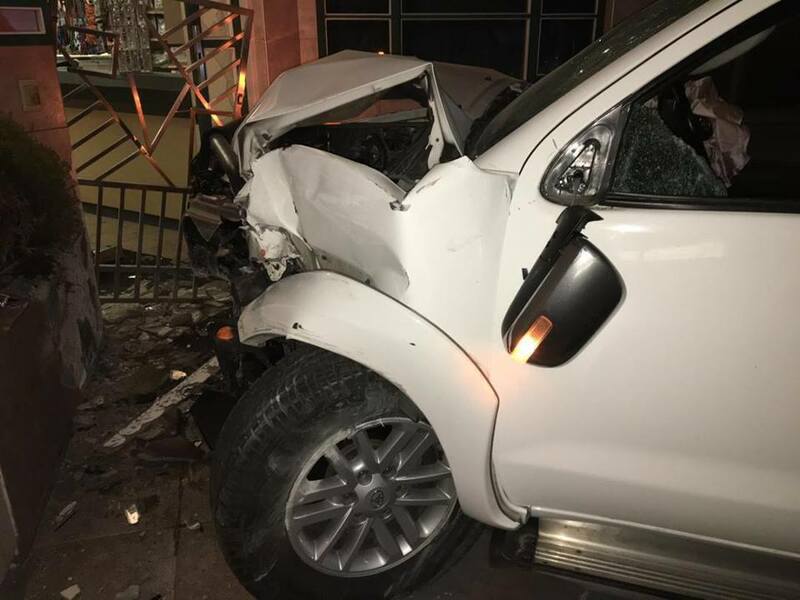 Besides driving under the influence of an intoxicating substance with the alternative of negligent and reckless driving, no other charges were filed against the accused person. 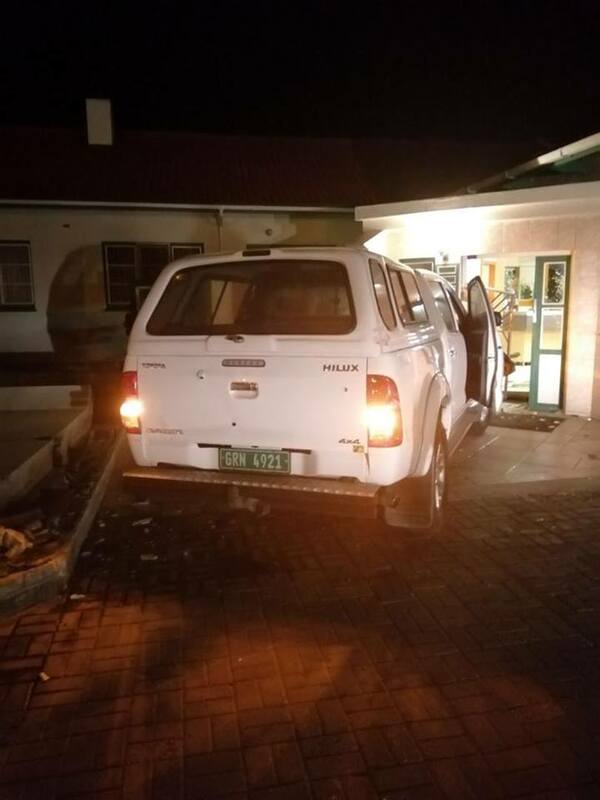 He was granted bail in the police holding cells over the weekend and warned to appear in the Swakopmund Magistrate’s Court on Monday morning. Tubazumbe did not dispute the charges against him, neither did he dispute the fact that his blood alcohol level was more than double the legal limit of 0,37 milligram of alcohol per 1 000 millilitre of breath when he entered a guilty plea. The presiding magistrate sentenced Tubazumbbe to pay a fine of N$5 000. 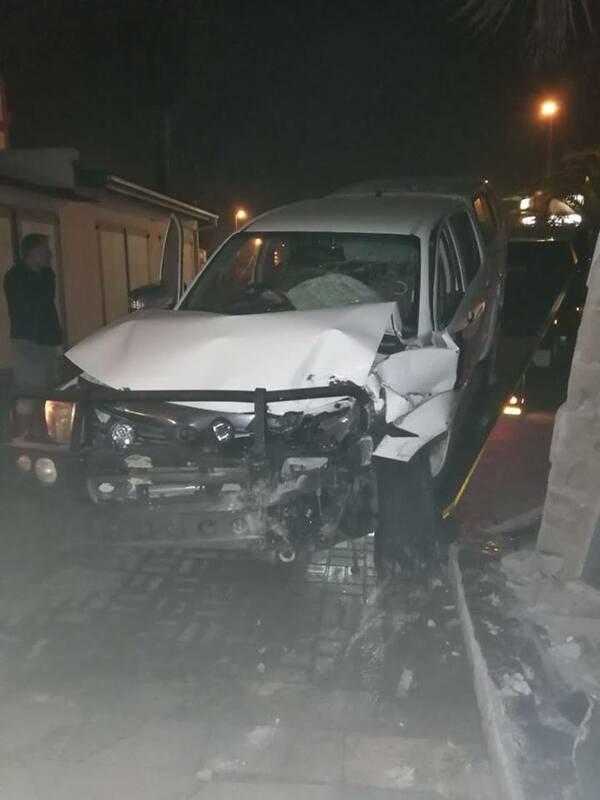 The shocking crash early on Friday morning was preceded by a party on Thursday night and members of the Swakopmund Neighbourhood Watch alerted the traffic department to the possibility of a drunken driver in the streets of the holiday town when Tubazumbe and a few friends stopped in the main street to withdraw cash and to urinate on the street. 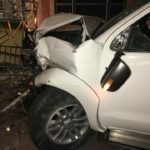 The party ended abruptly when Tubazumbe skipped a three way stop sign at the junction of Garnison and Manume Ndemufayo Street at high speed and crashed in the veterinary clinic. 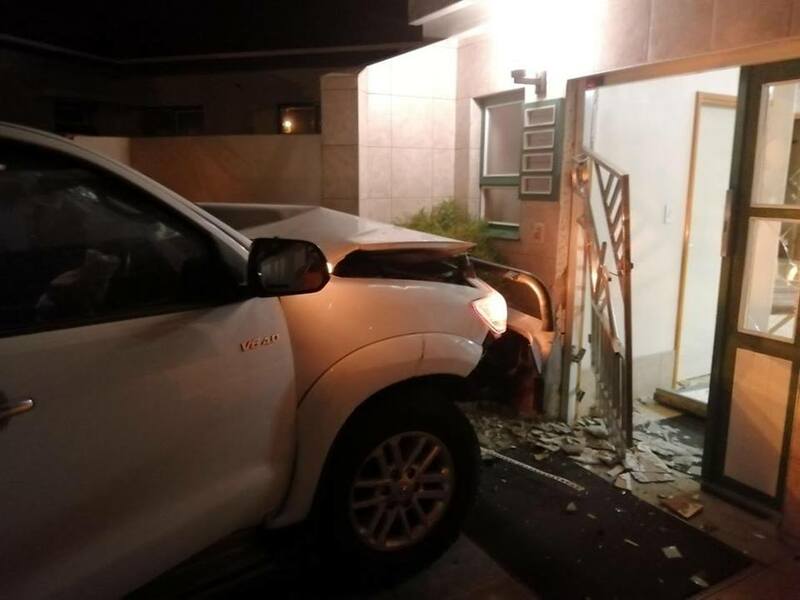 The double cab bakkie with a Government registration number was completely wrecked and the entrance to the building was terribly damage.